Durathon — The Duracell Marathon Arrives in Mumbai! Duracell, the iconic consumer battery company and the leading manufacturer of high-performance alkaline batteries worldwide will launch the ‘Durathon’ – Mumbai’s first family run, on Sunday, November 12, 2017. Just like the famous running Duracell Bunny kids and parents will have the opportunity to show how they can go stronger for longer as they unlock their inner power when finishing together a 2K or 5K run. An accomplishment to be jointly celebrated not only that very day and also during Children’s Day just two days later on November 14, 2017. There are two categories of race, the 5K race that will start from Bandstand, Bandra to Andrews College, and end at Bandstand. The 2K race will start from Bandstand to and bring you back to where it all began via HK ROAD. There will be various interesting activities, freebies for all participants, Prizes for On-the-spot contest for runners as well as non-runners and their families to enjoy and be active together on the race day. Being an early morning start, participants will be able to enjoy the amazing sunrise as well as the sights and sounds of the city waking up. I love my family, and powering our fitness and well-being is very important to me. 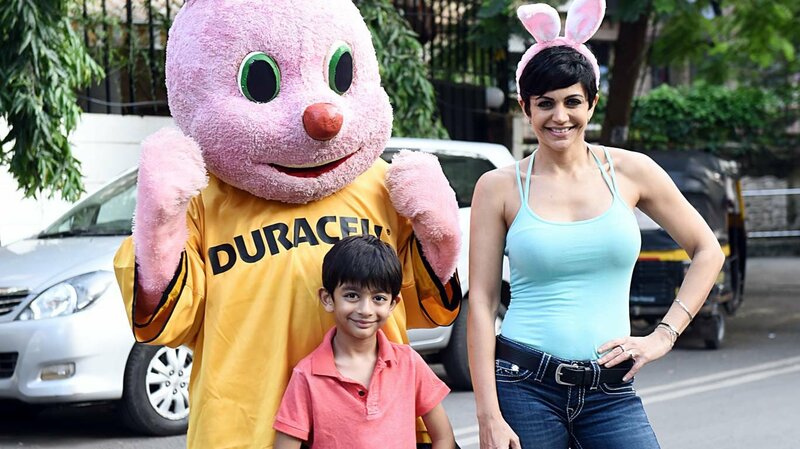 My son is immensely inspired by the energy of the Duracell Bunny, who will unleash great power at the Durathon, a lovely platform for every family to come together and increase bonding,” Mandira Bedi, actress, anchor, designer and mother of a six-year-old son. What is your family going to do to celebrate Children’s Day? Remember to a child the word ‘Love’ is spelt T.I.M.E, and the best way to spend the coming Children’s Day is by spending the day running together in bunny ears and having fun together. The Indian Navy Marathon is back with its second edition!